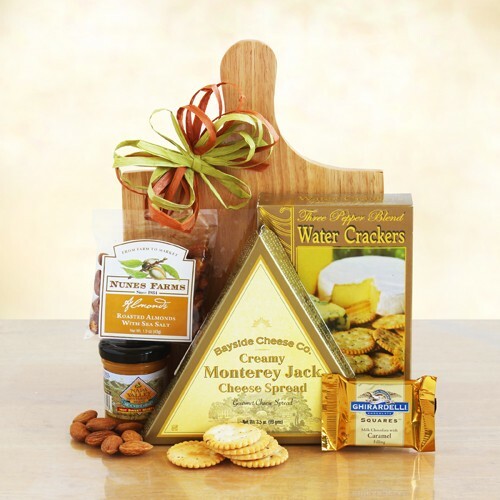 Send our wooden gourmet cheeseboard gift is ideal for any gathering! 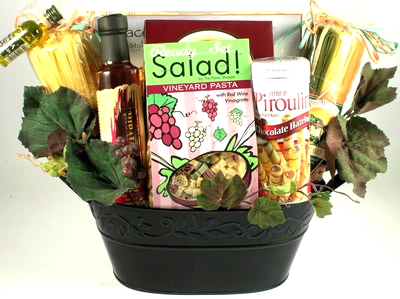 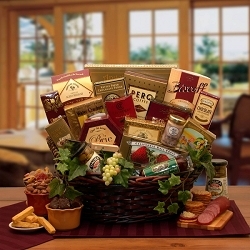 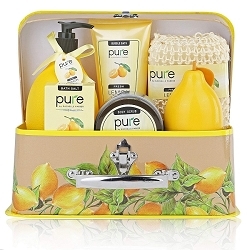 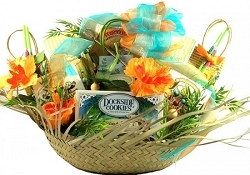 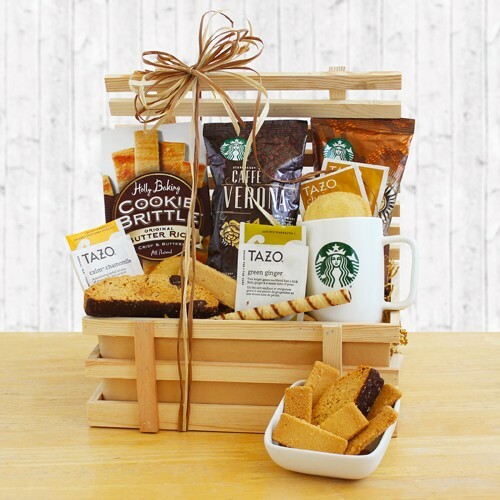 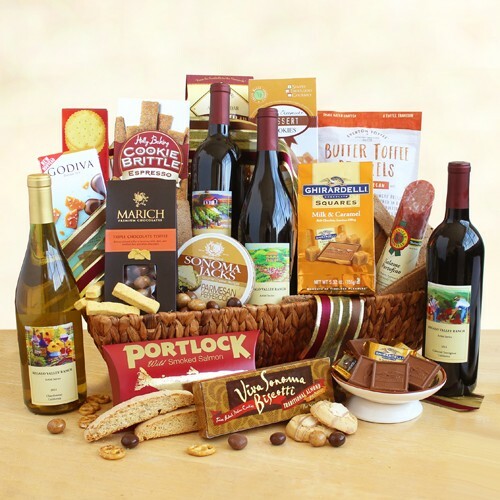 A perfect host or hostess gift or just something to add to the party. 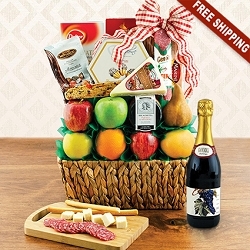 This gift includes: Monterey Jack Cheese, water crackers, almonds, a mini mustard, a Ghirardelli chocolate square and a 14 inch Cheeseboard.